Salon Tea was originally founded by TV host and celebrity Tracy Stern in 2005. 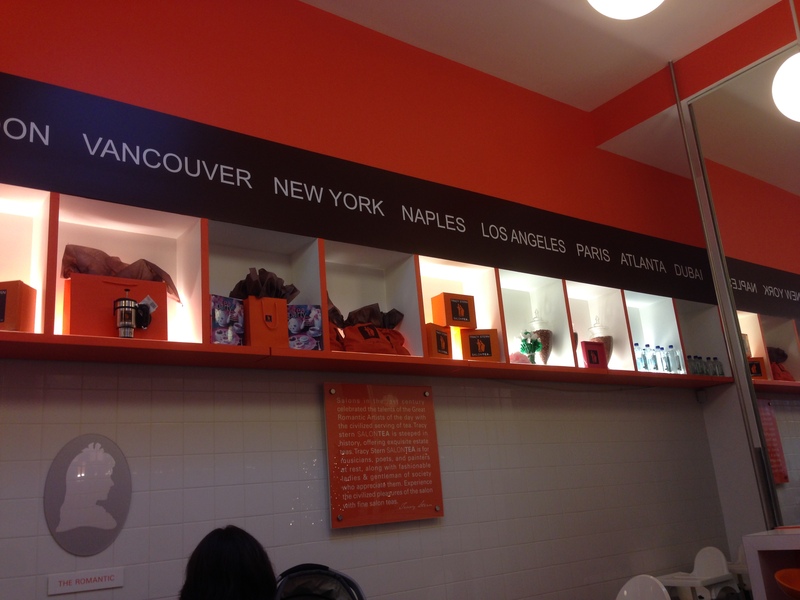 The first salon opened its doors in New York City and now franchises have opened in several cosmopolitan cities such as Los Angeles, Paris, Dubai and now Vancouver. The atmosphere is very modern. 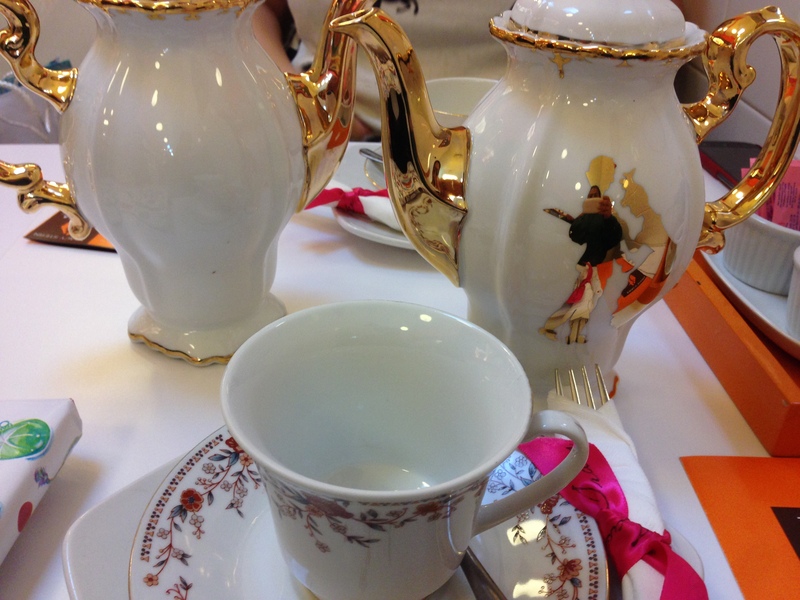 Lots of orange and chrome, which is a big contrast from the classic tea service and china the tea comes in. The Salon Tea philosophy is that tea time is a time for creativity and relaxation. Their tea blends include teas for detoxing, slimming, sleeping aids and more. Their signature teas offer a variety of black, green, rooibos and chai teas. The teas have charming names like “the dancer” and “the writer”. I chose “the lover” for my tea this afternoon. A mix of chai and rooibos teas with hints of chocolate, cinnamon, cardamon and cloves, this fragrant blend was a treat to the senses. As a bonus, this tea is supposed to kick start your metabolism! Our tea service was beautiful to look at and included three tears of service. The first tear had Savoury sandwiches, quiches and croissants as well as open-faced cream cheese and cucumber on mini bagels. Those were my favourites. 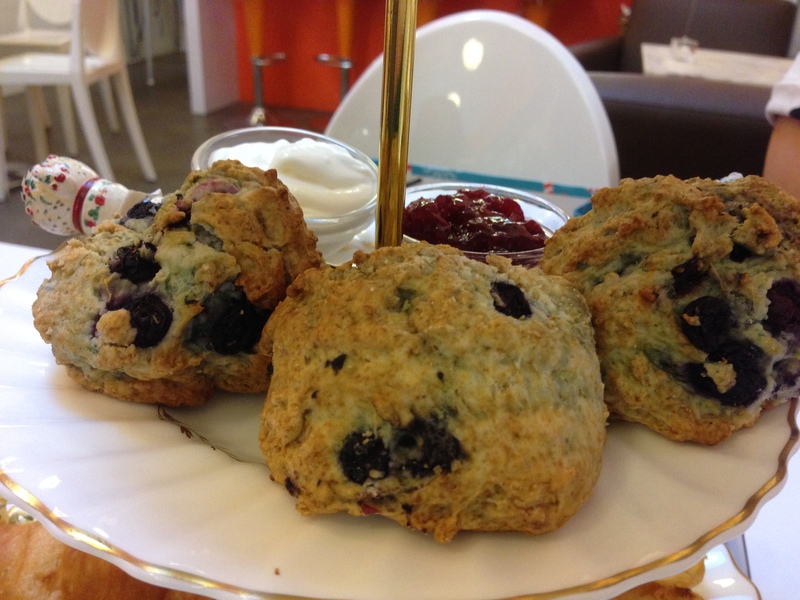 The second tear included blueberry scones with preserves and devonshire cream made by hand in-house. The scones were served warm and I thought that was a delightful detail. 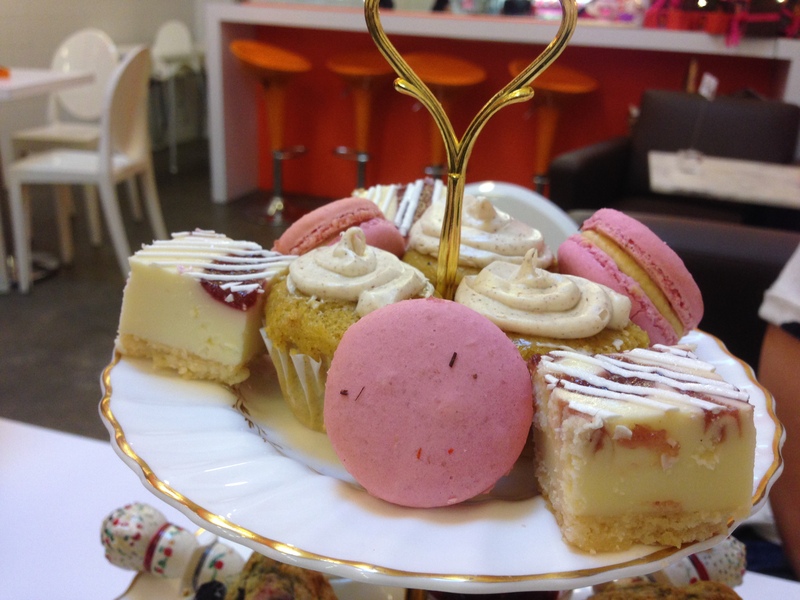 The final tear had a variety of petit fours: cheesecake, macaroons and pumpkin cupcakes. My companions really enjoyed the cupcakes; as for myself, I couldn’t get enough of the cheesecake. 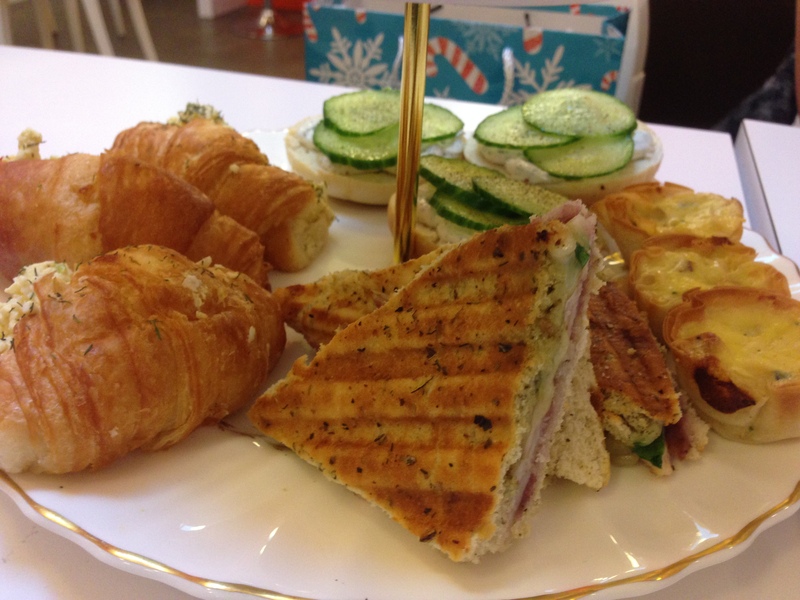 The afternoon tea service is $35 per person with a minimum of 2 people. Reservations are recommended. Check out their website for hours of operation and details.